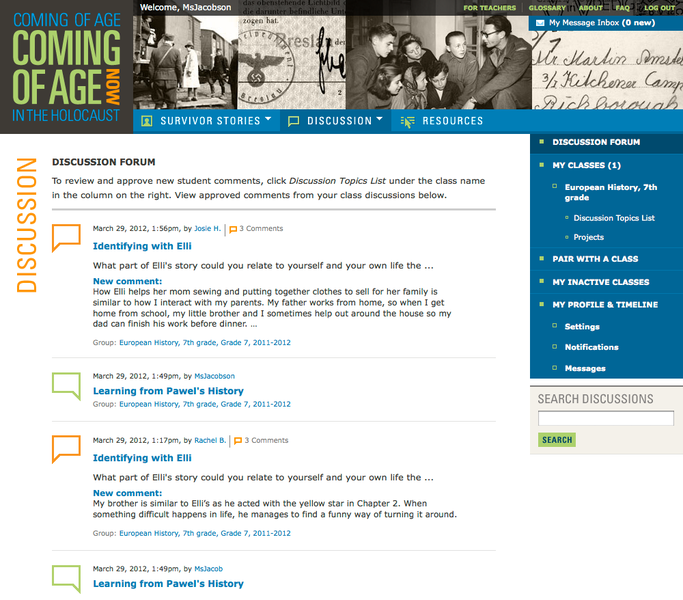 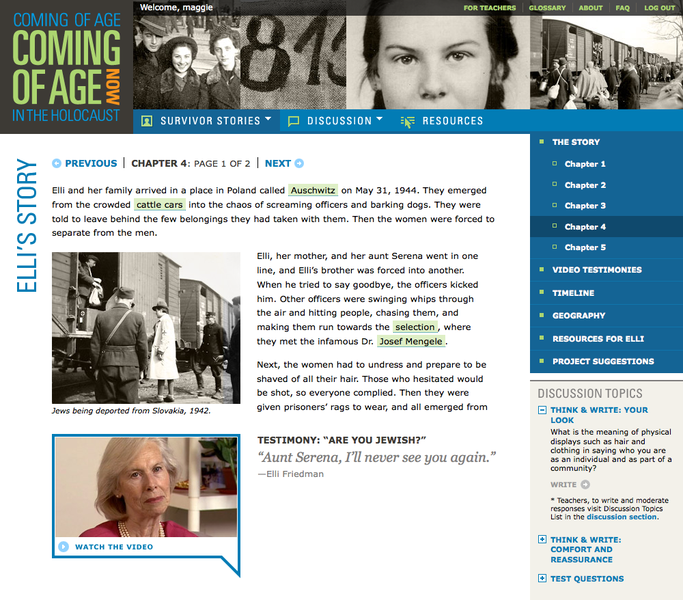 “It moved me to tears” - AAM Judge 2011 (winner, MUSE Bronze for technology in museums) Coming of Age in the Holocaust, Coming of Age Now is a web translation of an already existing print curriculum produced by the Museum of Jewish Heritage. 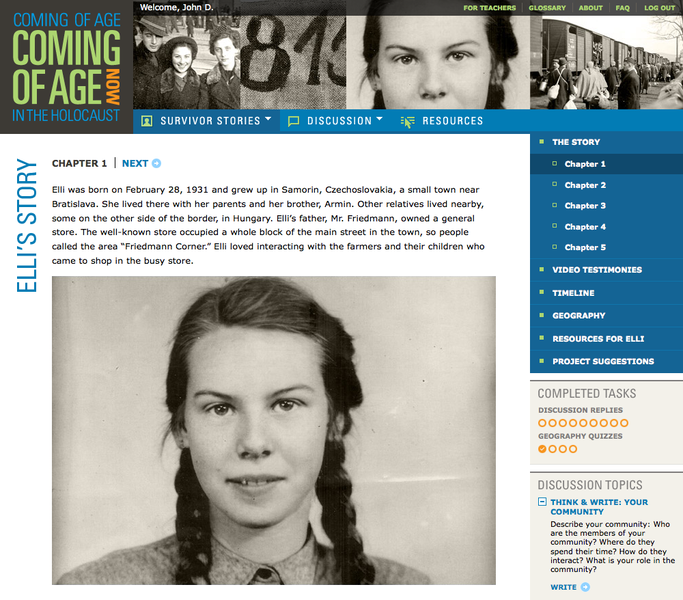 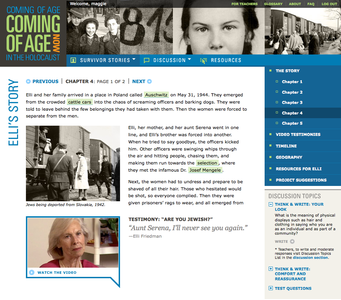 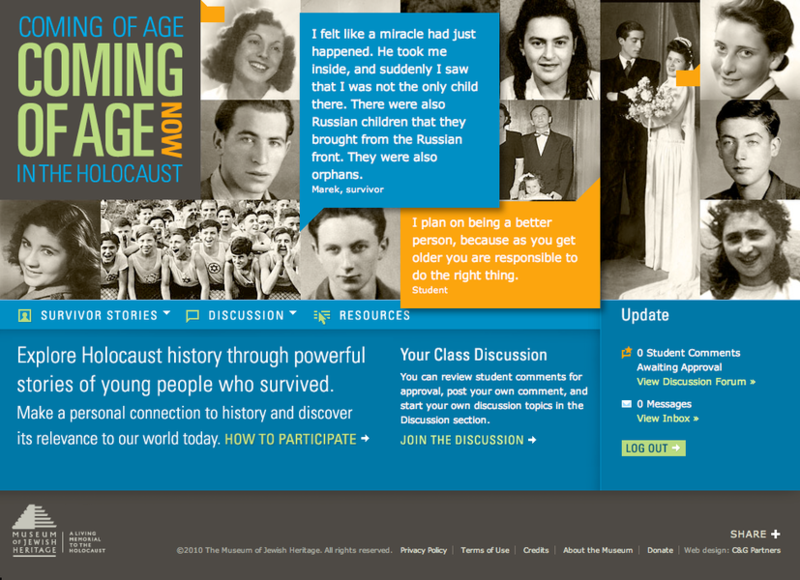 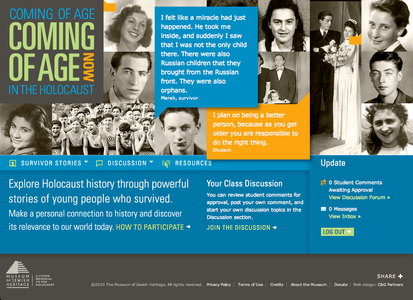 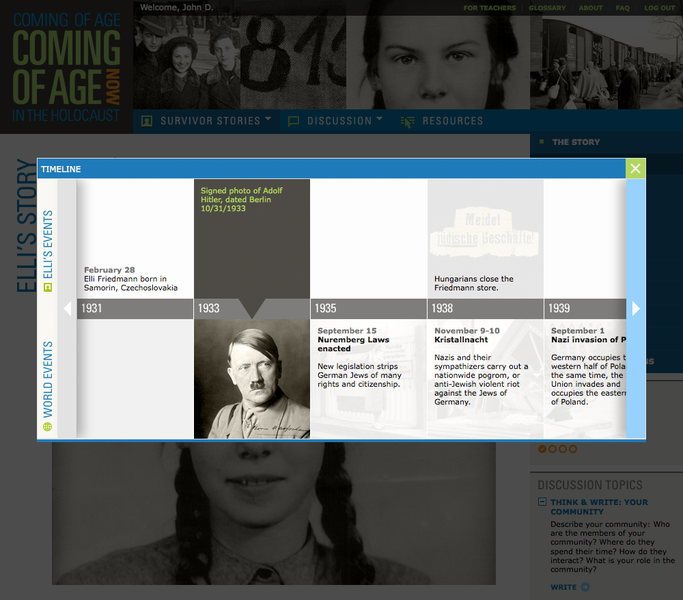 In the curriculum, there are thirteen stories of Holocaust survivors who experienced a formative time in their young lives in the midst of the World War II, with activities and thought-provoking writing assignments to connect today's generation with theirs.The website took these activities and made them web 2.0 ready: stories are embedded with video of survivor's telling their tale firsthand, geography quizzes and timelines become interactive, and questions are posed in an online forum, both stemming from the curriculum and from topics formulated by teachers themselves. 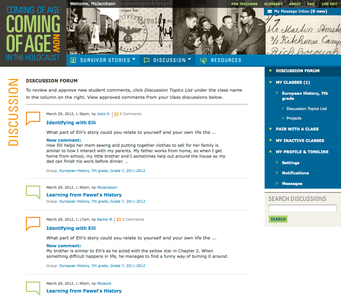 Classes can pair to further enhance the online "classroom" experience in discussing these topics together. 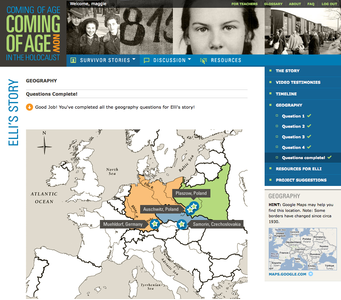 Being of a sensitive nature and dealing with an underage group, a strict moderation of comments with the ability to edit, approve and delete by teachers was also put in place, along with anonymization of names when content is shared to enforce the appropriate level of privacy.